Tomb Raider. A Brief History - leestombraiderfansite's JimdoPage! Over the years the Tomb Raider games have been a big influence all over the world and Lara Croft has become A Big gaming Icon. 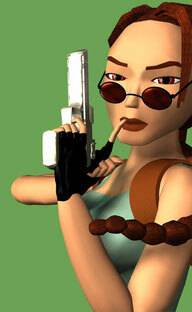 The first Tomb Raider came out in 1996. Lara's first adventure had everything for it's time. Gorgeous visuals, Great setting and a brilliant story line.The puzzle system is well thought and will keep you thinking about how to get further in the game. As Lara went on an adventure in search of the Scion. But not all is as it seems with the Person that employed her, Natla. Once Natla gets her hands on it the game turns in to a fight between Lara and Natla. This was a brilliant start to the game series. 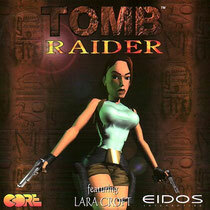 In 1997 came the second Tomb Raider game in the series. Again great visuals with a few more extras. Lara appeared with 4 different costumes and a different training area outside her mansion. Also she was able to use vehicles including a ski bike with guns on the front. The settings for this game were China, Italy and Tibet. This time round Lara is searching for The Dagger of Xian. The only problem she has is that a cult is also after the Dagger and she has to put up a fight with them and a Dragon before she gets The Dagger. 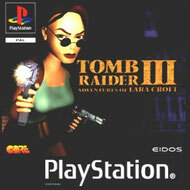 1998 Saw the release of Tomb Raider 3. One of the features they introduced in this game that i always liked was that Lara came out of water dripping wet which i thought was awsome! There was also different roots to finishing a Level. I always found this game to be the most difficult game in the series to complete. 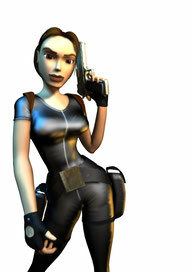 In this game Our Leading lady, Lara of course. Is searching for four mysterious piece's of meteorite.Traveling all over the world With India and London being some of the locations. and finishing in Artica. She is taken on to find them by Doctor Willard. But as always in Tomb Raider. 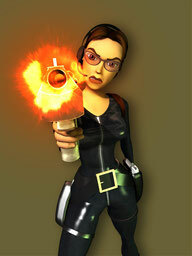 Who ever employs Lara there is always an evil intent. The next Tomb Raider game to come out was in 1999. 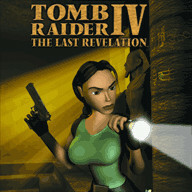 Tomb Raider The Last Revelation. this game went into lara's past and we got to meet Von Croy who was Lara's mentor. At the start of the game the gamer gets to play as Lara at the age of 16. With the setting being Egypt. There were new puzzles and new weapons including the ability to choose what type of ammunition you could use with your Weapon's. This time round our Lara accidentally releases A god and has to set out to right her wrongs, But things get complicated when Von Croy gets involved. This game came with a real surprise at the end. Dont worry i wont tell you what happens if you haven't played it yet. 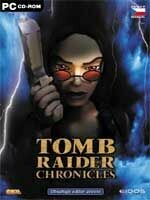 Tomb Raider Chronicles was next up on the release's in 2000. With what happened in the Last Revelation. We hear storys of Lara's past and have to play through them. With characters from previous games appearing in this game like Larson and Pierre. We even get to hear Zip for the first time. This game in the series was not to promising. Not much of a story. a new underwater vehicle. More different costumes to add veriation again including a catsuit with black glasses. With locations like Italy and Russia to take us around the world more could of been done visually i thought. The game play as always has been a strong point to the series and it shows in this. But story wise. Will it be a Happy ending for our Lara? 2003 saw Tomb Raider become a bit of a murder mystery in Paris for Lara in Tomb Raider Angel of Darkness. 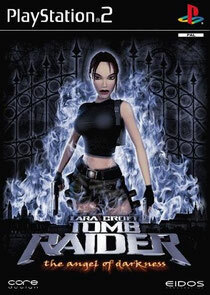 In this game Lara is framed for the murder of Von Croy. But as she is on the run she is following up on leads to do with the Obscura paintings which Von Croy was researching. It's not long before a cult known as the Cabal are far behind. This game was the last for core design. With what it had puzzle wise it lacked in others. The system of choosing what Lara say's to people gave it to much of A RPG feel to it, This is what ruined it for me. The back streets Of Paris were designed perfectly. Game felt a bit outdated mainly due to it being put back release wise all the while. You could always play it just to see who killed Von Croy? Over all it was not a good Tomb Raider to debut on PS2 and Core design could not Recover. 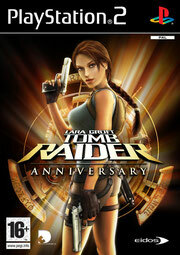 2007 Saw Crystal Dynamics do an excellent remake of the first game and named it Tomb Raider Anniversary. All the level where true to the original. The head shot system that was introduced to the game worked great. Also using the grapple hook in it did not spoil the remade Levels at all. The graphics were superbe and it was true to the story. Anniversary was a great remake in every way possible. 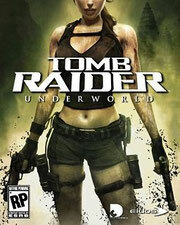 Tomb Raider Underworld is the current mother of all graphics in the series. Released in 2008 in made Lara look Gorgeous on a HD tv with the help of the ps3. The downfall was that xbox had exclusive downloads called "Lara's Shadow" and "Beneath The Ashes". The scenery looks more life like than ever. The controlability took a bit of getting use to. 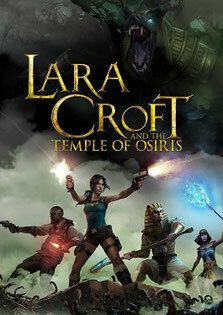 In this adventure Lara go's in search of Thor's hammer in order to destroy an old enermy once and for all. Will Lara prevail or will the search for Thor's hammer be for nothing? Lara even get's an helping hand from another enermy from a previous game (Amanda Evert). This game is an epic in the series and is not to be missed. 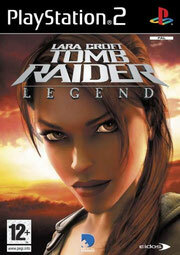 The first Lara Croft game not to carry the Tomb Raider name was released in 2010. 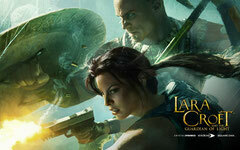 Lara Croft and the guardian of light was released as a digital download on ps3 and xbox. 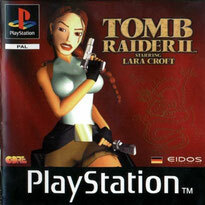 It was also the first Lara Croft game to carry a co-op mode. for the size of the game it is visually beautiful. With top down view and a story similar to Tomb Raider The Last Revelation. Again Lara must deal with sorting out another released god but this time round she gets a little help. Well the reboot is here with a Bang. A new Lara. A new backgroud, and a new way to show Lara's Rise. Lara is stranded on the island of Yamatai after a boat she's on is caught in a storm. She must fight to save her friends and fight to survive against a cult. 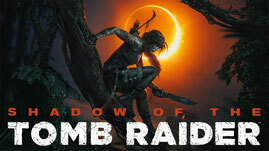 To find Out How this new Lara survives your going to have to play for yourself. In the Second Outing without the Tomb Raider name. Deep in the deserts of Egypt Lara Croft joins forces with rival treasure hunter Carter Bell and imprisoned gods Isis and Horus, to defeat the evil deity Set Lara and her companions battle the elements of nature through ancient tombs and they must recover the fragments of Osiris to stop Set from enslaving all humanity. With a dynamic multiplayer aspect of the game on an over the top view. Will Lara succeed On this new quest. The temple challenge awaits. The second of the brand new reboot shows Lara Croft in Siberia in search of the legendary city of Kitezh But as the search begins she comes across an organization know as "The Trinity." That intends on beating her to the lost City to seep it's rewards. With a cross Bow to aid her and survival skills to learn Will Lara achieve her goal. And will the trauma of what happened on the island of Yamatai effect her. Is the New Lara really rising. To find out Just if she manages to survive you'll have to play to find out. The next instalment in the Tomb Raider series see Lara pursueing Trinity but after She removes a Dagger from an ancient ruin. She triggers an appocalyptic event. Now it is up to her to stop the group known as Trinity and find a way to repair the damage she caused by removing the dagger from it's resting place. With her trusted bow and climbing axe at hand she must travel back to where her origins began in Peru. She must learn to use her skills in dense Jungle surroundings. Fight against the wild life. And also fight against Trinity again. 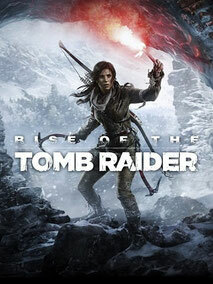 But most importent of all, Lara must learn to become the Tomb Raider she is destined to be.